Two WKU students have been awarded the inaugural Connie Foster Student Scholarship from the newly created endowment. 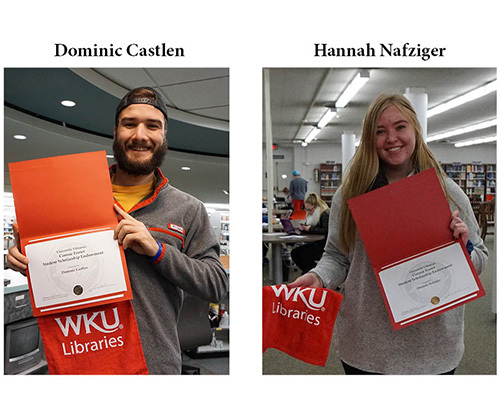 Hannah Nafziger and Dominic Castlen are the recipients for the 2018-19 academic year. For more information on the Friends program, go to wku.edu/library and click on “More Info” under the Support WKU Libraries section of the webpage.